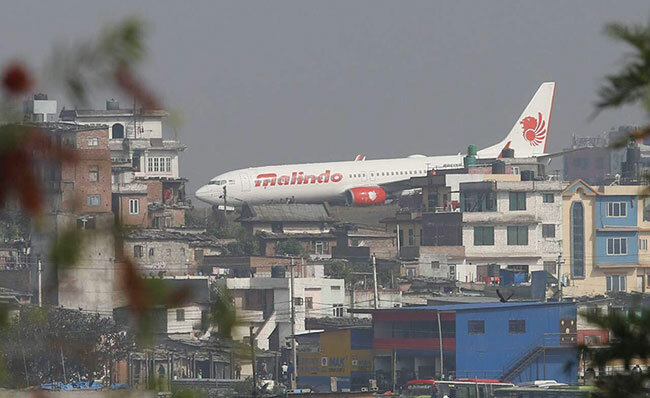 KATHMANDU, April 20: A Malindo Airplane flying to Kualalumpur, Malaysia from Tribhuvan International Airport, Kathmandu on Thursday night narrowly escaped disaster. 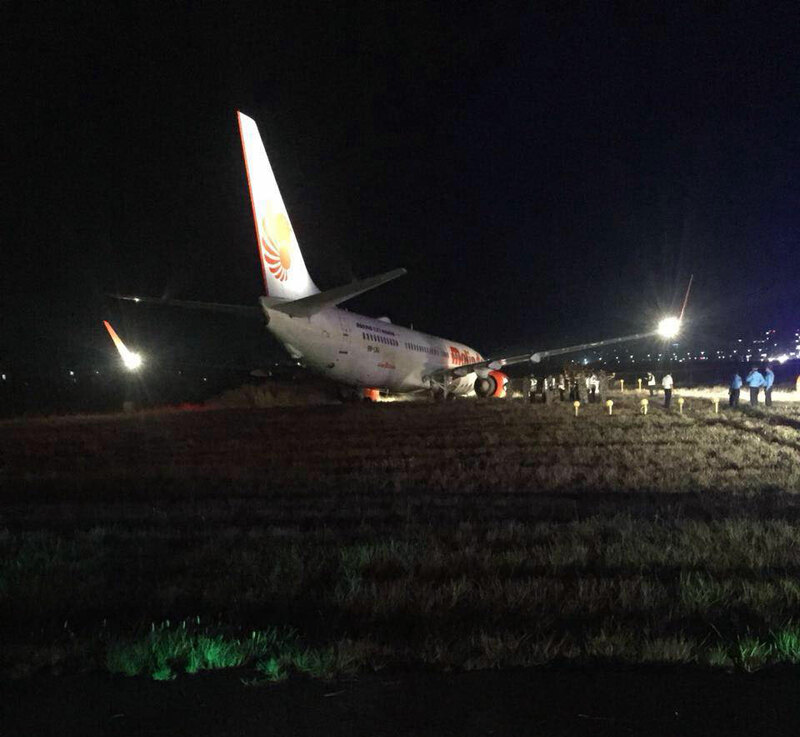 'The Airbus skidded off a runway some 100 feets south and stopped along a grassy area between the airport’s runways after its nose wheel could not keep to the runway' said Premnath Thakur, Director of Airport Operation. All 139 passengers are safe. 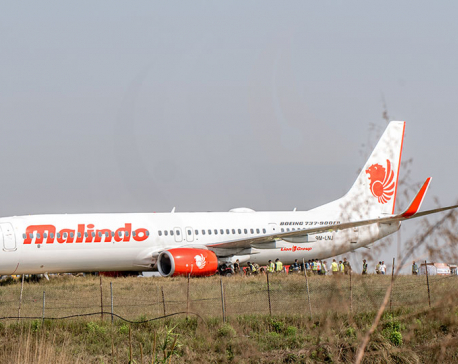 Thakur further added that all international flights are delayed till the complete operation of the ill-fated Malindo Airbus however, domestic flights will be resumed within another hour.